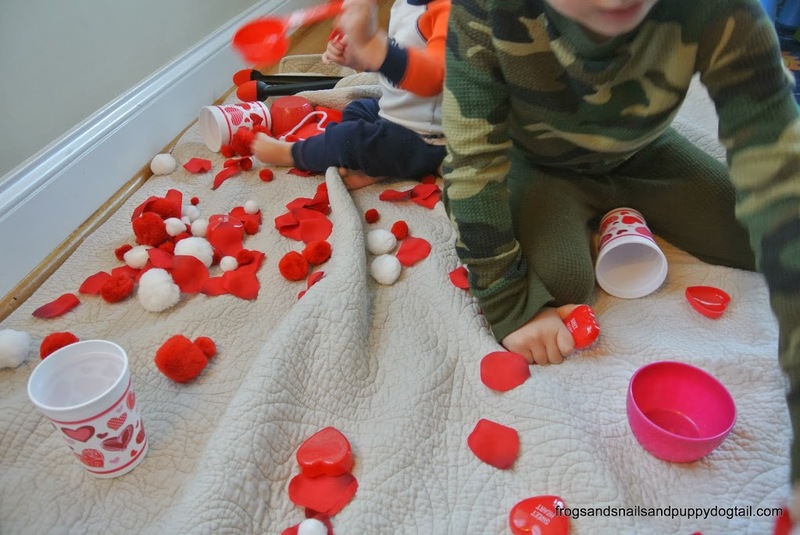 The kids had a lot of fun in our Valentine’s Day sensory Bin last year. So this year I wanted to make them a new one to play in. 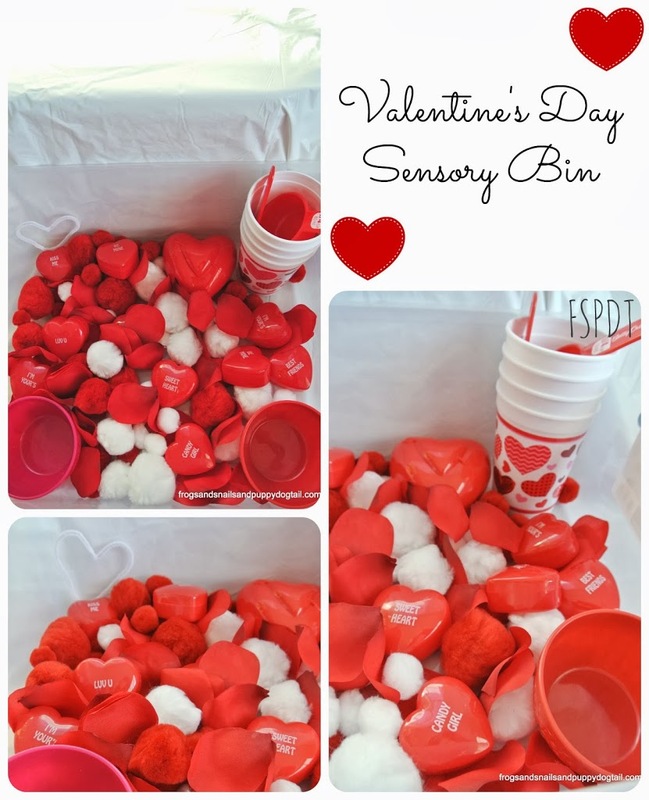 I had many items still on hand from last year and just gathered them together to create a Sensory Bin for them to play in one afternoon. I set out to create one that was baby, toddler, and preschooler friendly. 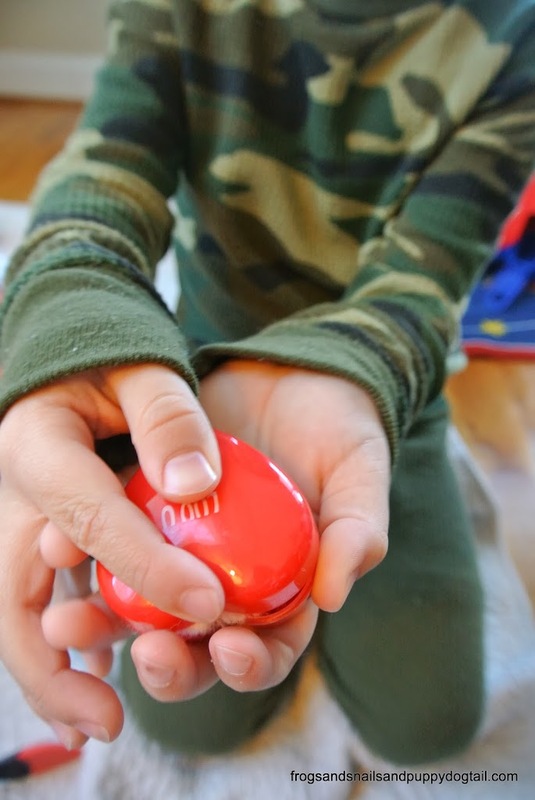 Having kids 1yr – 5yr it can be challenging to find something they all can enjoy. 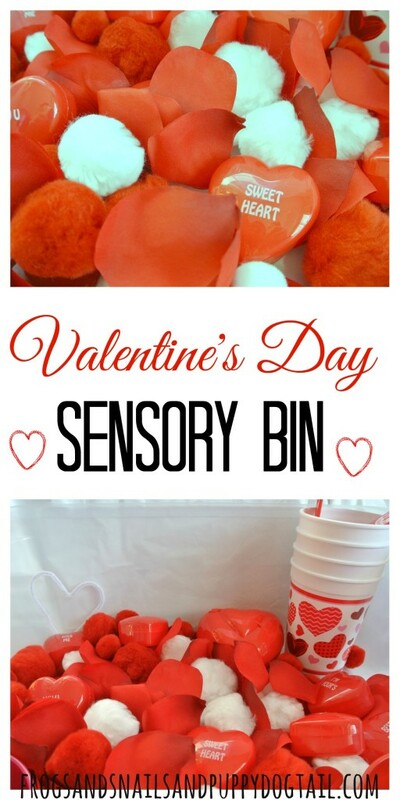 This Valentine’s Day Sensory Bin was fun for all of them. I placed all the items in the clear container. 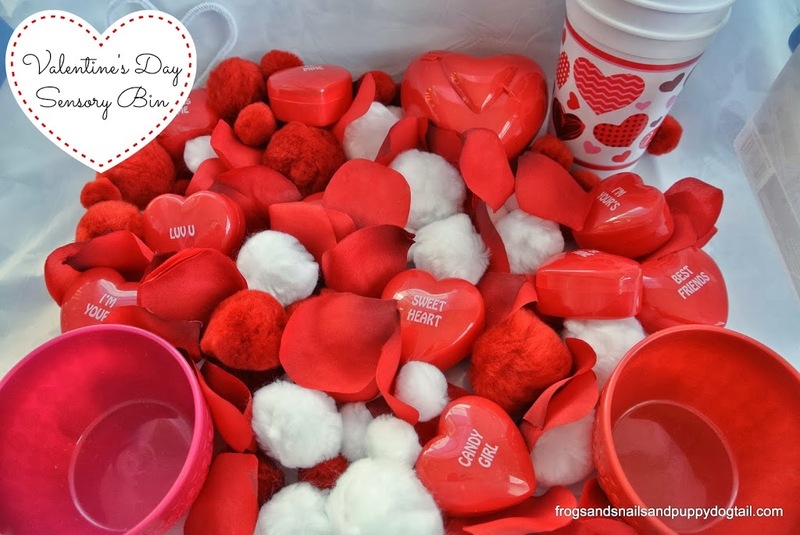 Then I laid a blanket out on the floor and placed the Valentine’s Day Sensory Bin on it for the kids. I just loved how all 3 of them could not wait to get inside that bin to explore everything inside of it. 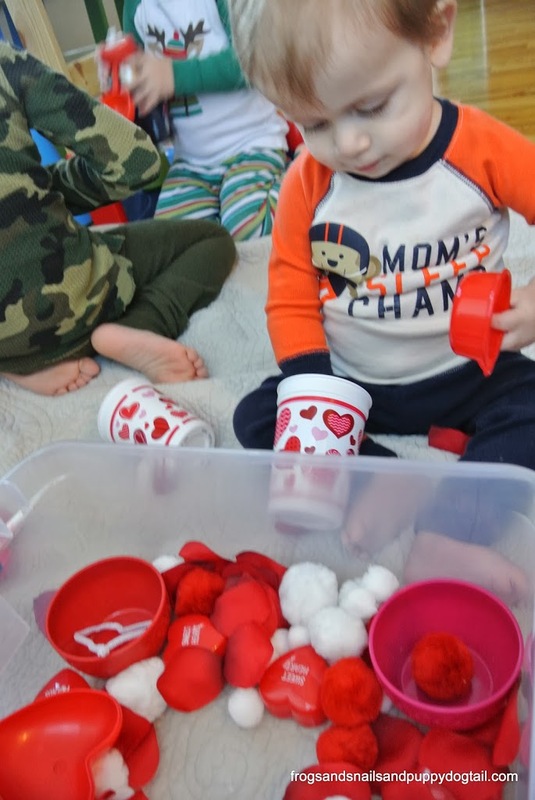 Perfect way to explore sight and touch. Looking and going over all the colors inside the bin. Getting to feel all the different textures as well. 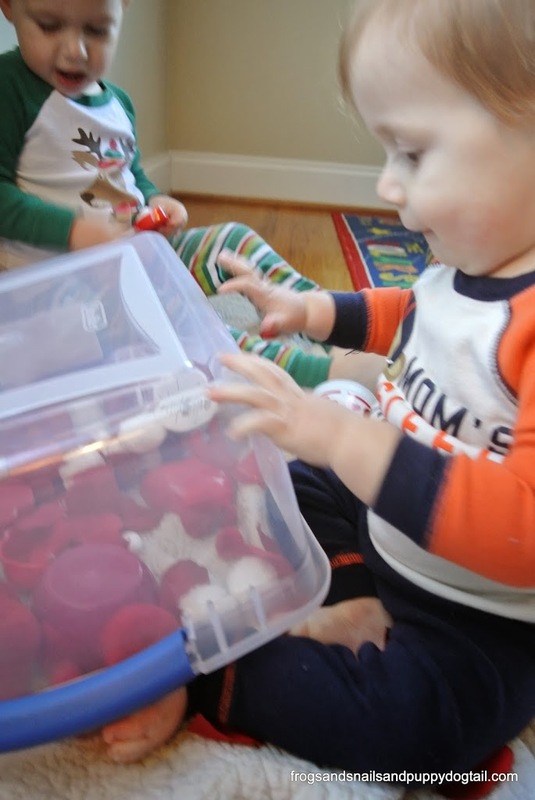 The older boys grabbed a few things out of the bin and let baby brother have most of it to start. Baby brother liked that. 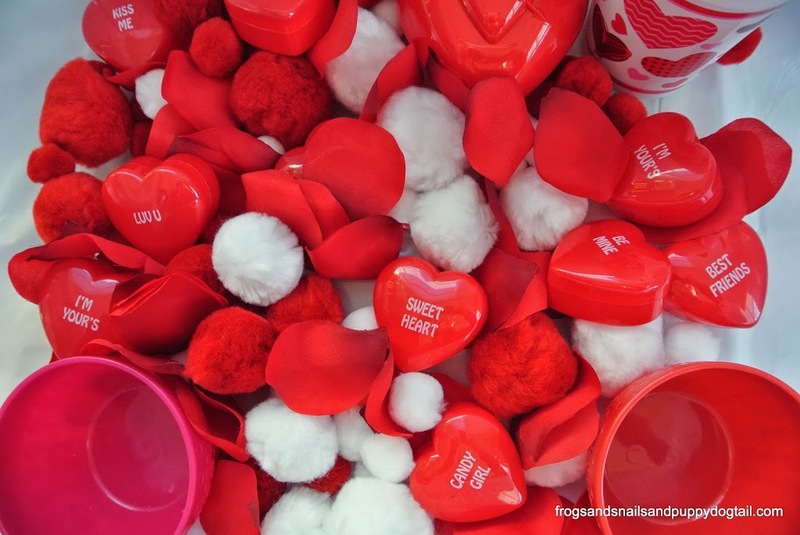 My oldest stuffed pom poms in the container and delivered me a valentine. Loved it! Using his imagination for some pretend play. The bin is now on its side and the items are coming out as they get warmed up. Now he finally dumped the bin out. I was surprised it took him this long to do that. 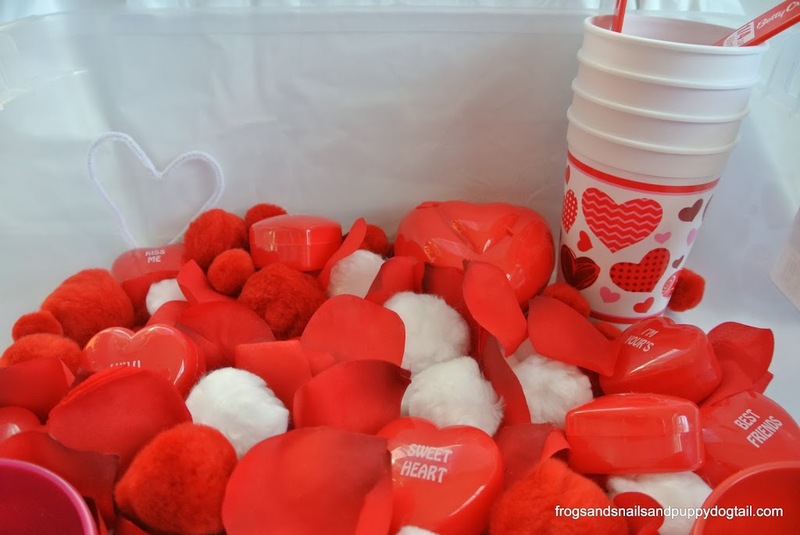 heart containers- Gift Candy Heart Containers. Assorted Sayings and colors. 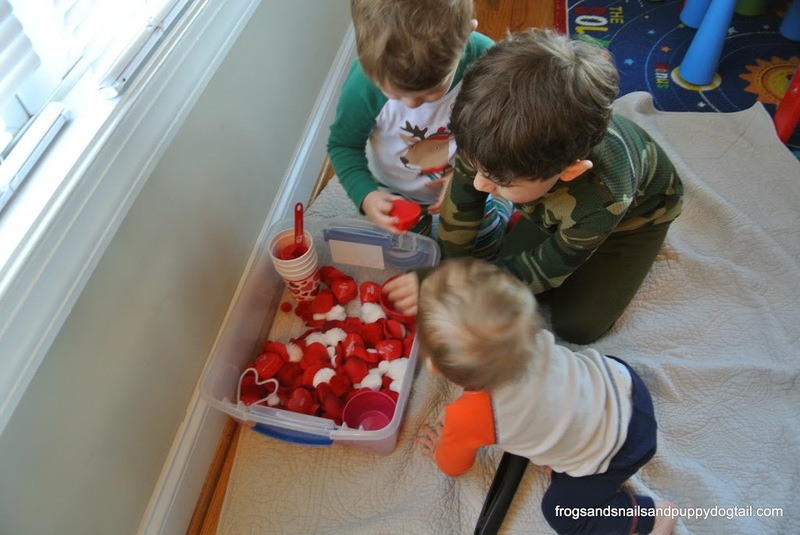 All 3 of my kids had fun playing in the multi-aged sensory bin for Valentine’s Day. 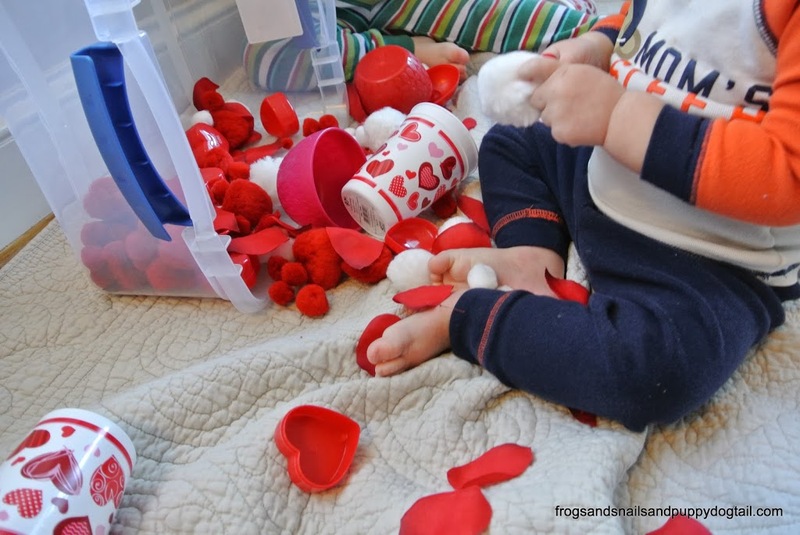 Great afternoon activity to keep the kids busy while you get dinner started or, for us, an after dinner activity to keep them busy while I cleaned up before bedtime. We hope you and your kids might enjoy this too.